The World Premiere for ‘Inspired to Ride’ is set for April 11th, 2015 in Denver Colorado and we want you there no matter where you are in the world. We've created a fun-filled day with lots of cycling goodness and by taking part in this campaign on Kickstarter you're helping make this World Premiere Event possible. Get to Denver Colorado and sit yourself down in one of only 350 seats. Turn on your computer and watch the event via live-streaming. This gathering of bike-minded people is going to be one hell of a good-time and we want you to be here with us whether you live in South Dakota, South Africa or the South Bronx. We're bringing in Mike Hall from the UK, Juliana Buhring from Italy, the film crew and other athletes who raced the inaugural Trans Am Bike Race and appear in this film. Mike Hall's accomplishments are incredible: Trans Am 2014 win (spoiler alert), Tour Divide 2013 win, World Cycle 2012 record breaker. Juliana Buhring's short cycling career is equally inspiring: Trans Am 2014 women's winner and 5th overall, Transcontinental 2013 only woman to attempt and 9th overall, World Cycle 2012 women's world record holder - 18,000 miles in 152 days. Bikepacking X Europe part 8: Home from Marc Altena on Vimeo. Last leg of my solo, unsupported and off-road bikepacking trip from the Mediterranean to the North Sea. Autumn is closing in while I make my way through the wet forest of the Ardennes, along the Ourthe, to finally see the dutch lowlands stretch out before me. Under grey skies I cycle north, to the island of Ameland, where to sun pops through the clouds and bathes the sea in a silvery light. Bikepacking X Europe part 7: On my way from Marc Altena on Vimeo. 7th leg of my solo, unsupported and off-road bikepacking trip from the Mediterranean to the North Sea. Bikepacking X Europe part 5: Altitude from Marc Altena on Vimeo. 5th leg of my solo, unsupported and off-road bikepacking trip from the Mediterranean to the North Sea. A farewell salute to the Mont Blanc, before crossing the cristal blue Lake Geneva to the next mountain range, the Jura, and riding the steep slopes along the French-Swiss border river. Featured on Korean design blog Designers Party, this concept by Lee Sang Hwa, Kim Jin Ho, and Yeo Min Gu utilizes a button-actuated joint at the seat cluster and an integrated saddle lock (combination digits right there on the saddle!) for quick rear wheel locking without supplemental locking mechanisms. Bikepacking X Europe part 3: going wild from Marc Altena on Vimeo. Third leg of my solo, unsupported and off-road bikepacking trip from the Mediterranean to the North Sea. Beauitifull and remote mountain scenery on the French-Italian border, a lot of hike-a-bike, rough descends and hair-raising hairpins on the Col de Mallemort and Tete de Viraysse. 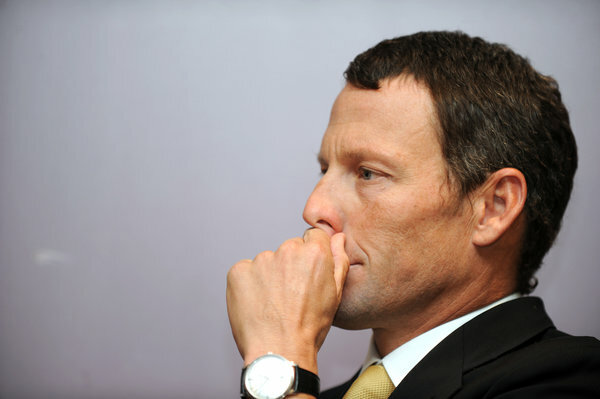 Lance Armstrong once told me that it would take maybe six months to a year for him to rebuild his reputation after he admitted lying to the world about his drug use. He said his plan was to keep a low profile and quietly earn back public trust, partly by apologizing to the people he had stepped on or, in some cases, tried to destroy. Armstrong, who in 2012 was stripped of his seven Tour de France titles for doping, seemed proud of his blueprint to restore his image. He said it would show that he was a good person who had been forced to dope because everyone else was doing it. The plan might have worked — if he had bothered to follow it. Bikepacking X Europe part 2: not for the faint-hearted... from Marc Altena on Vimeo. Leg two of my solo, unsupported and off-road bikepacking trip from the Mediterranean to the North Sea. Bikepacking X Europe part 1: the Cote d'azur from Marc Altena on Vimeo. Video of the first leg of my solo, unsupported and off-road bikepacking trip from the Mediterranean to the North Sea.